COPD causes around 23,000 deaths in England each year, with one person dying from the condition every 20 minutes! PULMONARY REHABILITATION should be a core component of the overall management of all patients officially diagnosed with COPD and other chronic respiratory conditions resulting in disabling breathlessness. This year our one-day conference on PULMONARY REHABILITATION, chaired by Rachel Garrod, Consultant Respiratory Physiotherapist, will offer an exciting programme, which will update you on latest developments in different components of Pulmonary Rehabilitation. The variety of topics will cover areas for physical training, disease education, and nutritional, psychological and behavioural intervention, as well as update you on the latest BTS guidelines. 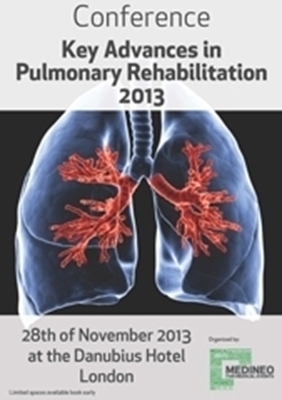 This conference will be held on the 28th of November 2013 at the Danubius Hotel in St. Johns Wood, London; and is a must for physiotherapists, occupational therapists, psychologists, counsellors, nurses, pharmacists, dieticians, respiratory physicians, and respiratory nurses. British Thoracic Society Guidelines on PR- What's new for us? Management of patients with oxygen needs - Where are we now? Plenary sessions will be interspersed with questions and answer sessions and panel discussions. The meeting represents a valuable opportunity to network, share knowledge and ideas, and consider collaborative projects. Chair's welcome and overview and British Thoracic Society Guidelines on PR - What's new for us? Rachel moved to Spain in 2013, she continues to oversee her research projects in the UK and is developing her clinical practice in Spain. 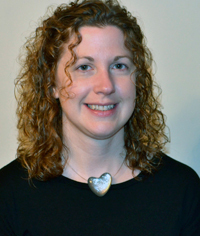 Rachel's area of expertise focuses on the delivery of exercise for people with chronic health problems, on breathing retraining and physical activity therapies for people with cardio-respiratory conditions, on the management of breathing disorders such as asthma, hyperventilation, and its associated panic disorders. Cassie is a Clinical Specialist Physiotherapist who has mainly worked in integrated role across acute and community sectors. Over the last 8 years in this role, Cassie has established and managed a variety of services including the ambulatory oxygen service at Imperial; oxygen clinics and service pathways in partnership with Imperial and the local community provider (CLCH); the pulmonary rehabilitation service; and early supportive discharge schemes. During this time Cassie has also completed an MSc in Rehabilitation, presented her work on motivations and barriers to exercise in pulmonary rehabilitation at the ERS and BTS and is currently undertaking a CLAHRC fellowship, delivering a service improvement project working with patients to co-design ambulatory oxygen information. Dr Maddocks is a specialist physiotherapist committed to a developing rehabilitation strategies for people with advanced disease. He has a keen interest in cachexia and the clinical management of skeletal muscle dysfunction, particularly by novel means such as neuromusclar electrical sitmulation (NMES). 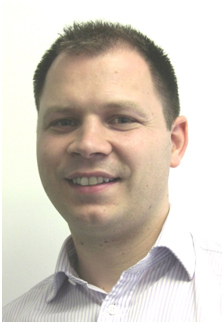 He has lead studies examining NMES in patients with lung cancer, both following and during palliative chemotherapy, and is currently examining use in patients with severe COPD as part of an NIHR fellowship, hosted by Kings College London, with mentors from palliative care and respiratory medicine. Consultant Respiratory Physiotherapist & Manager, Community Respiratory Care Team, Virgin Care NW Surrey; Clinical Co-lead South East Coast Respiratory Programme Julia was a member of the External Reference Group for the 'Outcomes Strategy for COPD and Asthma in England'; She has published papers and book chapters on a variety of topics, including: noninvasive ventilation, pulmonary rehabilitation, the use of ambulatory oxygen in PR, the use of practice walks during exercise testing, non-pharmacological management of breathlessness, national guidelines for respiratory physiotherapy, and international guidance on physiotherapy for those with critical illness. 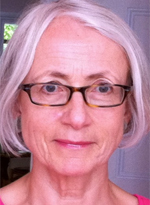 Julia lectures and teaches both nationally and internationally, and provides support for the publications and other activities, of the BLF and the MNDA. 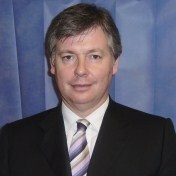 In private practice since 1996, Dr Brian J O'Connor, Consultant Physician, Respiratory Medicine and Allergy (MD FRCP FRCPI), has been based primarily at Cromwell and Lister Hospitals in London where he saw his private patients part time, whilst continuing to hold his National Health Service responsibilities as a Consultant and Senior Lecturer in Respiratory Medicine. Dr O’Connor is now in full time private practice and consults across a number of leading private healthcare institutions across London. They are Chelsea Outpatients Centre on 280 Kings Road, where is the Medical Director, Clementine Churchill Hospital in Harrow Middlesex, Cromwell Hospital in Earls Court, Lister Hospital in Chelsea, Queen Anne Street Medical Centre near Harley Street, and Wellington Hospital in St. John's Wood. He will also consult at Syon Clinic a new state of the art diagnostic and outpatient clinic based in west London which is due to open in May 2010. Dr Brian O'Connor graduated from Dublin in 1980, completed his post graduate general medical training there and passed the examination for membership of Royal College of Physicians of Ireland in 1984. He moved to Royal Brompton Hospital in 1988 to complete his specialist respiratory training and completed an MD thesis on research into airway inflammation and asthma. He is a Fellow of the Royal College of Physicians of Ireland and of the Royal College of Physicians of London. In 1992 Dr O'Connor was appointed as Senior Lecturer at the National Heart and Lung Institute and a Consultant in Respiratory Medicine at Royal Brompton Hospital in London. There he established a leading edge clinical research facility, to investigate new treatment strategies in Airways Disease. In 1997 he relocated to Kings College School of Medicine to continue his clinical research and was appointed Consultant Respiratory Physician at Kings College Hospital until March 2008, when he commenced full time private practice. Dr Brian O’Connor is actively involved with the international respiratory community and is a member of a number of professional organisations overseas and in the UK. He attends regular meetings and international conferences. This demonstrates his dedication and commitment to his patients as he proactively engages with his Consultant peers to keep abreast with new and exiting discovers and treatment in his chosen field of medicine. He also shares his wealth of experience and expertise within his community. His on going commitment to research and development through Respiratory Clinical Trials gives him the platform to publish and present papers in his areas of expertise. 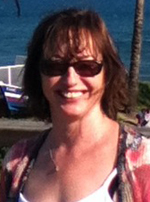 Rachel Atkinson is a forensic psychologist and cognitive behavioural therapist. She currently works for HM Prison Service within the National Offender Management Service and is the national specialist lead for the Chromis Programme for violent, psychopathic offenders. Her interests are personality disorder and the assessment, management and treatment of violent offenders. Forensic Psychologist National Offender Management Service in the UK Currently undertaking a PhD in the assessment and treatment of psychopathy with the Centre for Forensic and Criminological Psychology at the University of Birmingham. 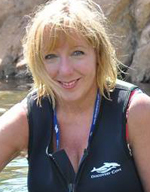 Jenny Tew is a forensic psychologist working for the National Offender Management Service in the UK. She is the lead for psychopathy and the evaluation of the Chromis programme. Jenny has worked in both custody and community forensic settings in the UK including HMP Grendon therapeutic community prison. She is currently undertaking a PhD in the assessment and treatment of psychopathy with the Centre for Forensic and Criminological Psychology at the University of Birmingham. 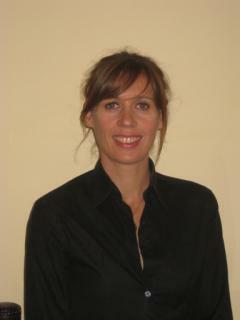 Dr Hannah Osborne is Principle Clinical Psychologist at the Southend COPD Service. She is currently working on a QUIPP initiative aimed at increasing quality of life through psychological treatment of anxiety and depression in COPD. This involves offering a stepped-care approach to psychological interventions including guided-self help, group therapies, pulmonary rehab input and direct 1:1 work. She has a keen interest in how psychological factors influence achievements and completion of pulmonary rehab. Management of patients with oxygen needs- Where are we now? Physiotherapists, Occupational Therapists, Psychologists, Counsellors, Nurses; Pharmacists, Dieticians, Respiratory Physicians and Respiratory Nurses. Please download the Sponsorship PDF for detailed sponsorship opportunities. The organiser is more than willing to discuss your ideas and adjust available opportunities for your existing materials, presentations or to convert our space to your idea, as long as this does not detract from the conference. To book this conference online please fill in the appropriate form and proceed with the booking in your booking cart! If you want to book offline then download the Offline Booking Form and send it via fax to: +44 (0)870 3305859. Please find the conference presentations as PDF for download. It could take some time to load the presentations as their file size is very big. We can just offer the presentations of the speakers who confirmed to publish their presentation. Rachel Garrod: British Thoracic Society Guidelines on PR- What's new for us? Julia Bott: Management of patients with oxygen needs- Where are we now? Please provide the delegate details in the above form, click "Add to cart" followed by "Checkout". If you wish to add another delegate, please click "Add a Delegate" first, complete the delegate details in above form and then "Add to cart" followed by "Checkout".